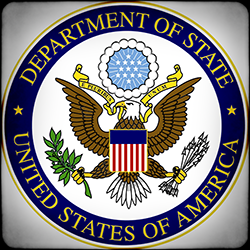 A recent posting of mine dealing with the nonimmigrant investors' program carried this headline: "The Worst Alien Worker Programs Are Those Managed by the State Department". On January 9, a federal court case in Colorado, dealing with another foreign-worker program, for the employment of au pairs, underlined that headline. There is a proposed $65.5 million settlement in a civil suit regarding the financial exploitation of the au pairs who came to the United States in a program — surprise — managed by our diplomats. The workers who were the alien victims in the first case, were "key employees" in the E-2 investors program; (really cooks and kitchen helpers), while those in the second are child-minders recruited through the State Department's au pair scheme, arriving with J-1 exchange visas. As I noted in the earlier article, the department has absolutely no States-side presence to monitor these programs. The $65.5 million settlement in this class-action case was not the product of State Department activity, it was something that happened because tort lawyers sued on behalf of the young foreign women. Several au pair middleman organizations signed the agreement, each noting that they were not admitting any wrongdoing. Au pairs, often from Europe, who live in homes where there are small children, and who are supposed to work no more than 45 hours a week, receive room and board and cash payments. They are supposed to attend school when not taking care of the family's children. The agreement included the payment of $65.5 million and the provision that each of the au pairs and each of the families must be informed, in their own languages, that there is nothing in the au pair program that prevents a negotiation of a higher pay rate than the federal minimum wage. The only concession that I can detect, beyond the payments, is that agencies will not try to prevent the individual au pairs from negotiating a higher rate of pay from the individual families, hardly a major move toward reform. The problems with this relatively small program (some 17,500 au pairs at any given time) are similar to those of the State Department's much larger Summer Work Travel Program that my colleague Jerry Kammer wrote about a few years ago. Both programs hide the harm they do, to both the exploited aliens and the displaced U.S. workers, by speaking of cultural exchange rather than their negative labor market impacts. Kammer and I both conclude that the State Department should get out of the cheap-labor business and stick to its foreign affairs tasks.